Does your spice cabinet have a lonely container of corn syrup that sits forgotten from one December to the next? No more! This recipe will give you ample reason to use that bottle right up and run out for more to make the next batch. 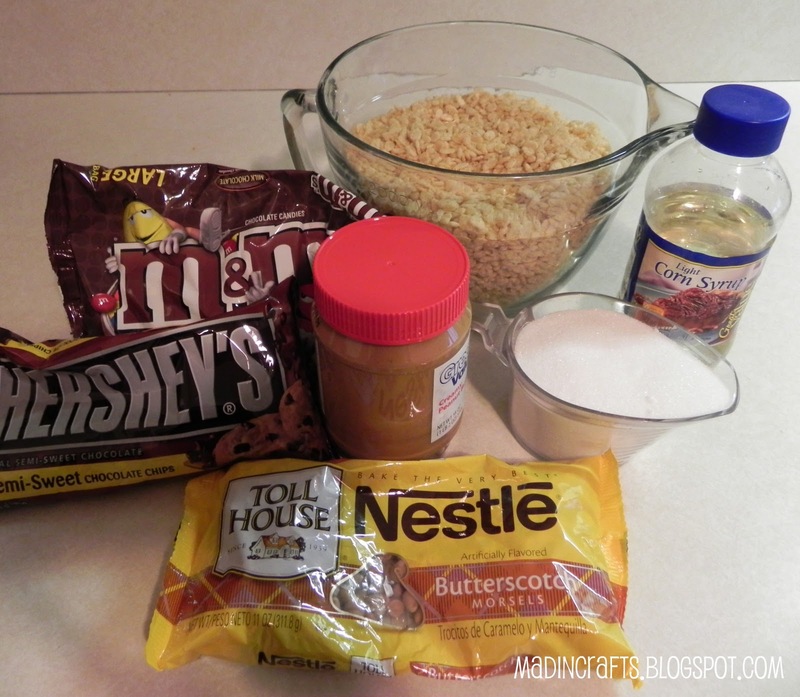 You will need light corn syrup, sugar, creamy peanut butter, rice krispies, and both semi-sweet chocolate and butterscotch chips. Don’t skip the butterscotch chips, people. The cookies are called SCOTCHeroos for a reason. 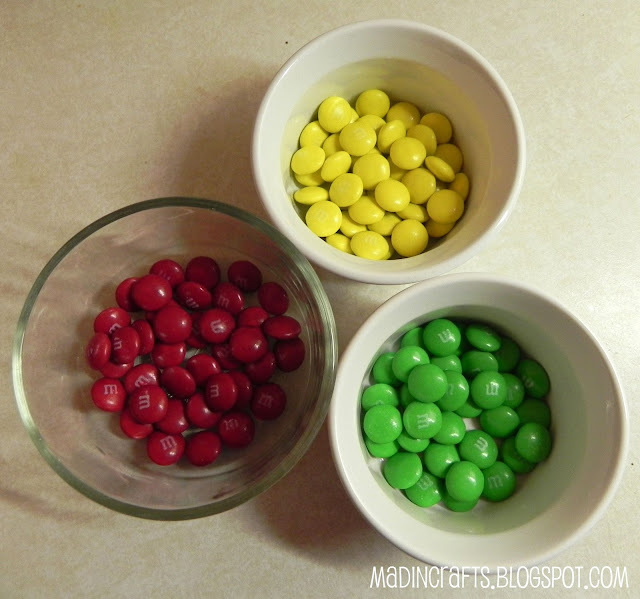 If you are making the cookies into stoplights, you will need to dig through a bag of M&Ms and sort out the red, yellow, and green candies. Turns out there are a lot fewer reds than other colors. Is some sort of weird M&M conspiracy afoot? 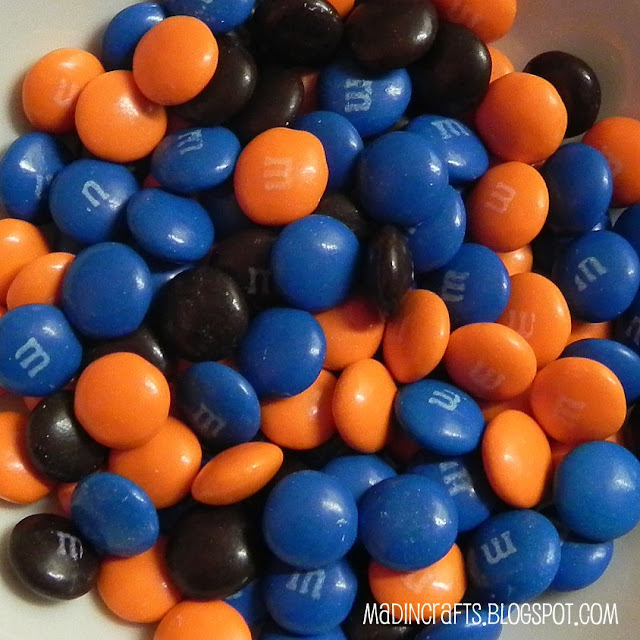 The good news is that the man-handled blue, orange and brown M&Ms are now yours to snack upon! 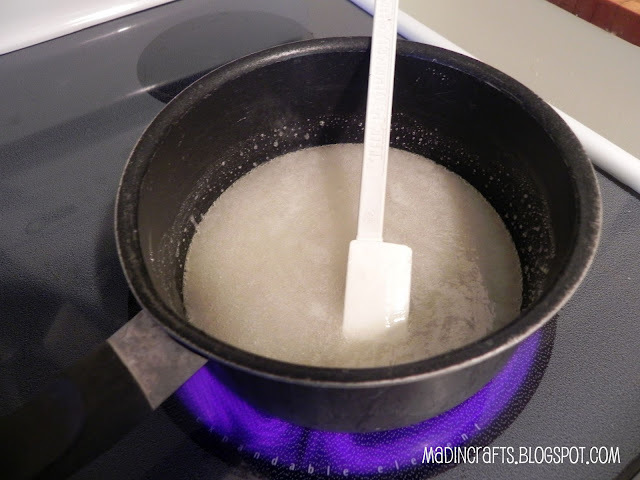 Bring the corn syrup and sugar to a boil over medium heat. Immediately remove the pan from the heat and add in the peanut butter. It was about at this point that I realized there was no way I was going to be able to fit 6 cups of rice krispies in that pan. Duh. Add the cereal and mix it until it is all totally coated with the sugary, peanut buttery goodness. 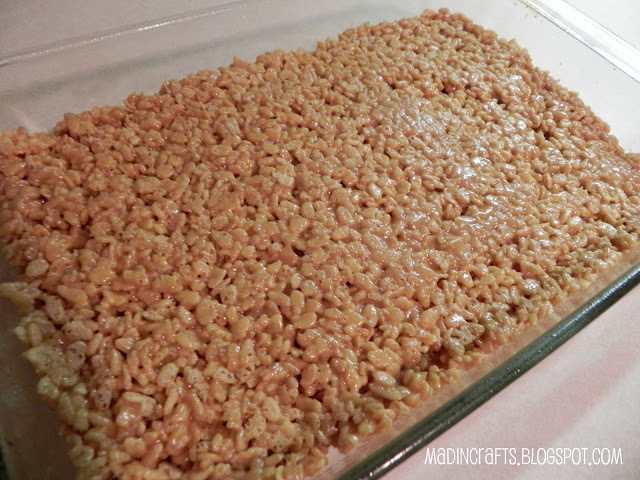 Press the krispy mixture into a 9×13. Melt the chocolate and butterscotch chips together and stir until smooth. 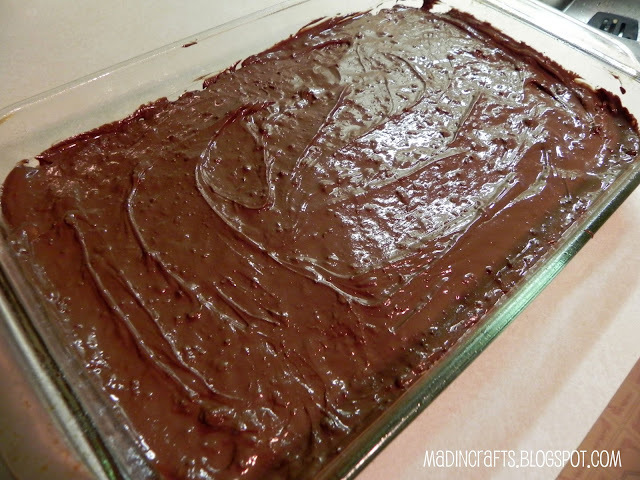 Pour the chocolate over the top and spread it out evenly. 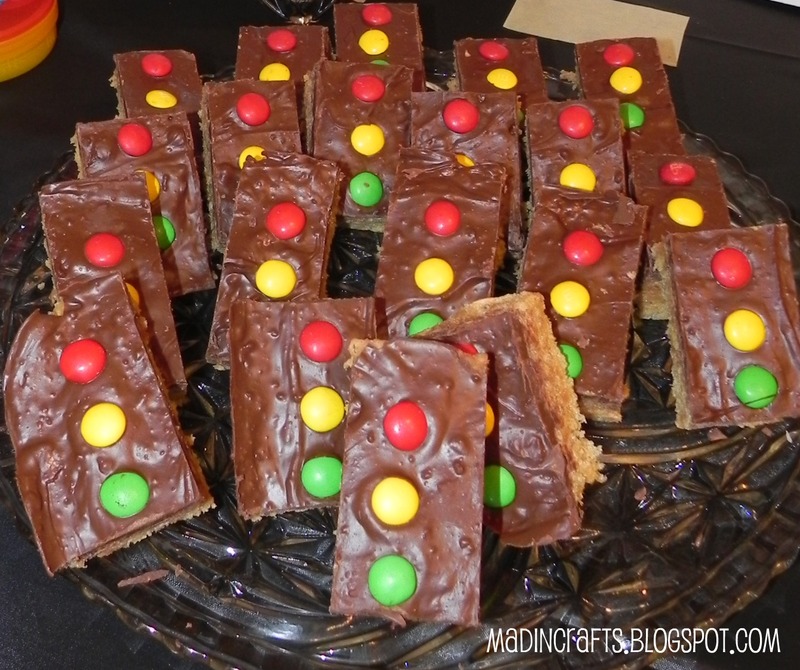 For stoplight cookies, line up the red, yellow and green M&Ms taking into consideration where you will be cutting the bars. Let the chocolate harden. The cookies look really cute when you cut them and serve them up on a platter! But for every bit of cuteness, there is an equal portion of deliciousness. These babies are gooooooooooooooood! Combine sugar and corn syrup in 3 quart pan. Cook over medium heat until it boils. 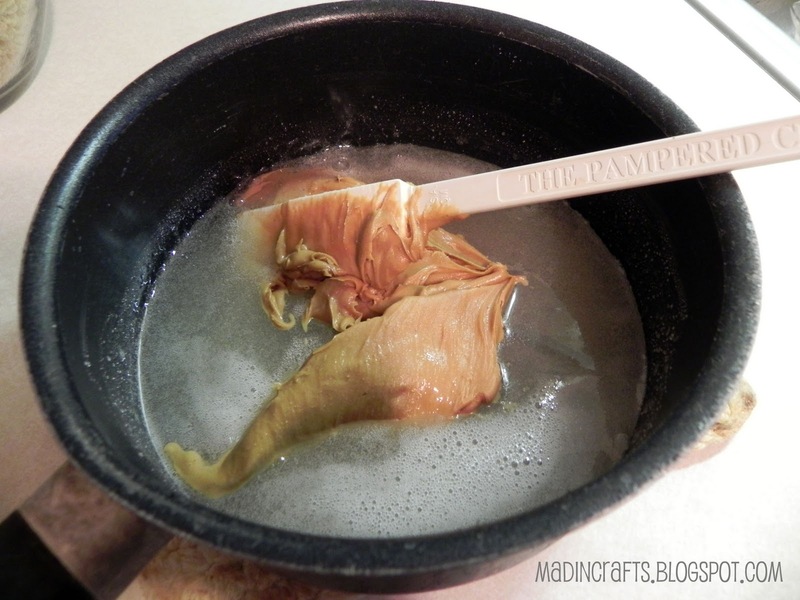 Remove from heat; stir in peanut butter. Mix well. 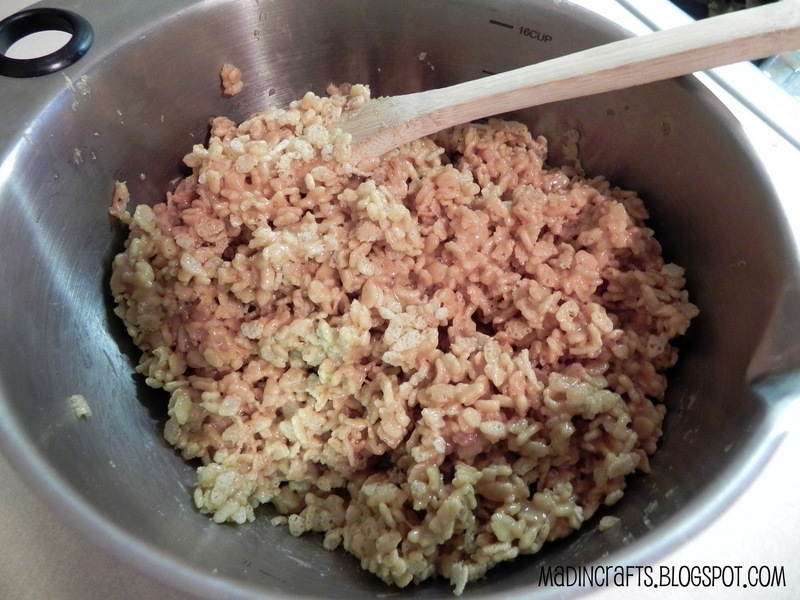 Add Rice Krispies and stir until well blended. Press into a greased 9×13 pan. 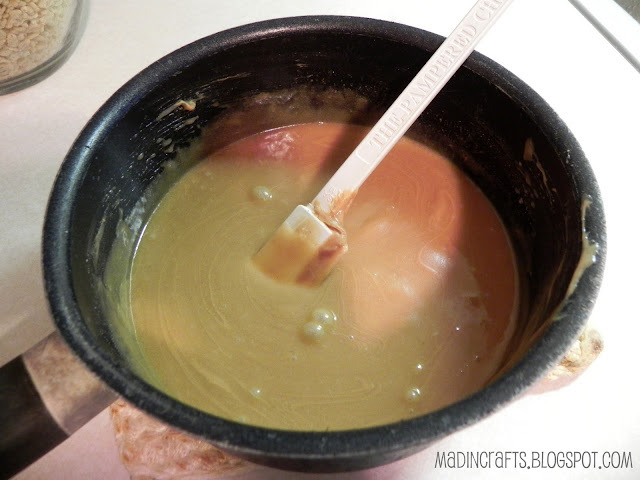 Melt chocolate and butterscotch chips together until blended. Remove and spread evenly over Rice Krispies mixture. Cool until firm and cut. My fabulous friend introduced me to Scotcheroos a few months ago. Man they are so yummy! 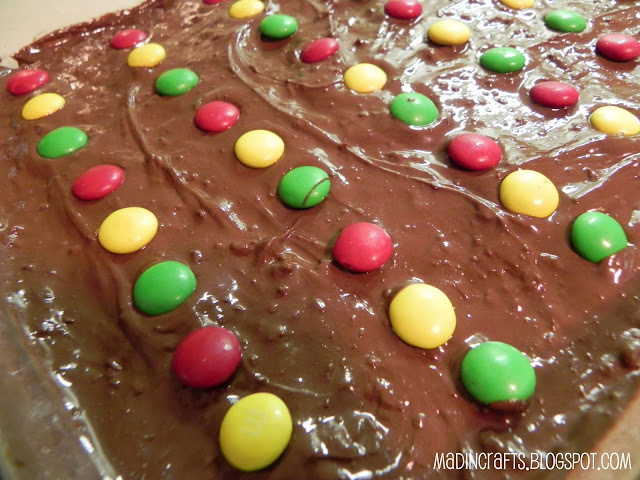 These are the best ever… they have been a family favorite since I was a child!!! Making these now! Cannot wait to see how they taste! The kids will love these! Thanks! I am making these for my son's upcoming Cars party, and I know that both the adults & kids there will love them! Thanks for the step-by-step directions that made my mouth water more with each picture… Can't wait! You could make these for so many occasions, pink/yellow/green for Easter, red/white for V Day, red/white/blue for 4th of July or when they have special colors for holidays.